Spending the summer in the Hamptons may seem like it’s all about indulgence - but your workout routine certainly won’t suffer out East, as boutique fitness workouts are also growing fast at the summer destination. City staples are popping up new locations in the Hamptons, while local fitness gurus are also launching their own studios. 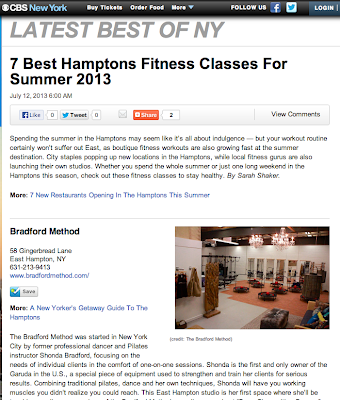 Whether you spend the whole summer or just one long weekend in the Hamptons this season, check out these fitness classes to stay healthy. 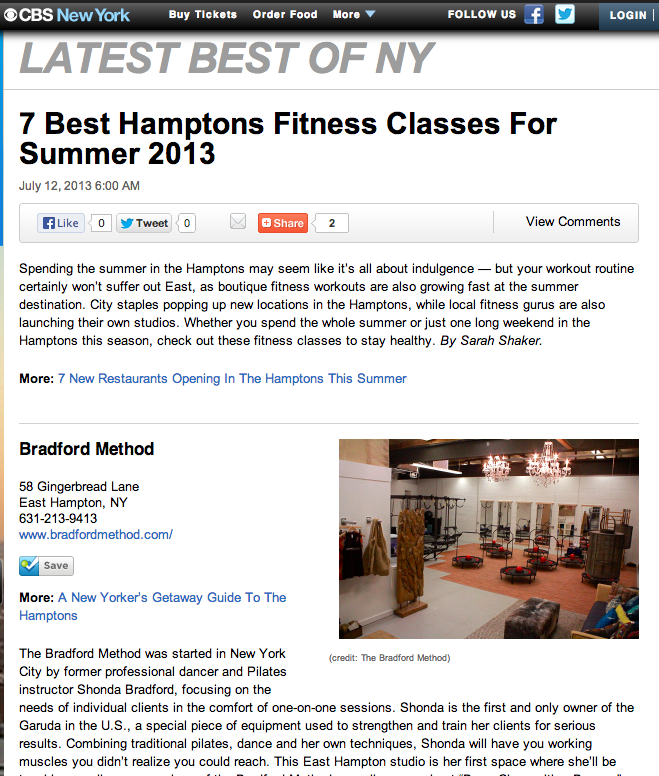 Check out my article on CBS New York for 7 Best Hamptons Fitness Classes For Summer 2013.